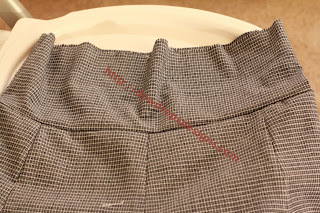 This is my trial with sewing skirt for first time.. 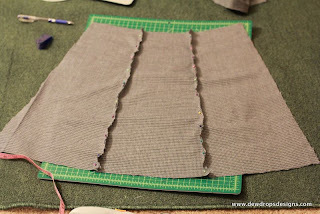 I am quoting the instructions to do this skirt here. 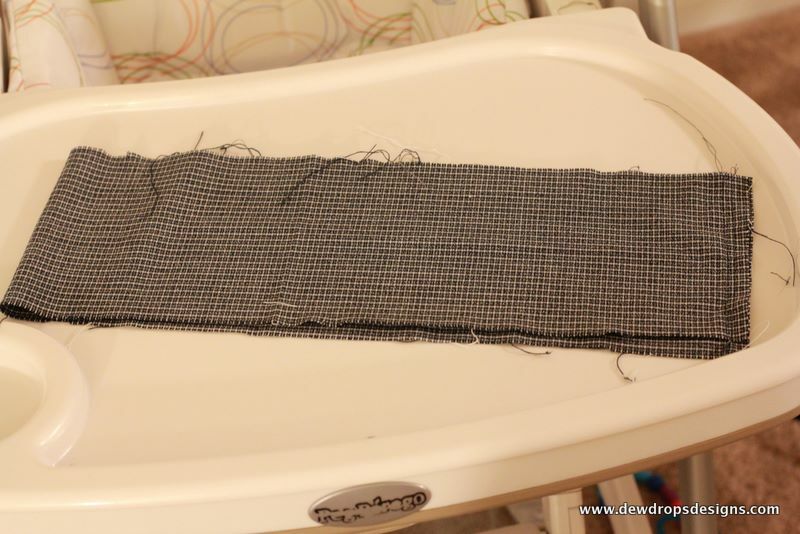 This is stretch fabric I bought from jo-ann store clearance section for just $3 for yard. Here I give the details based on my measurements. You can modify it for any size. 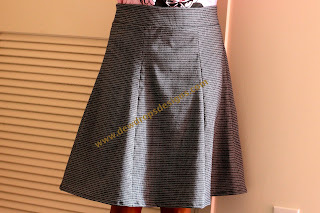 You can use cotton/knit or any other fabric which you think works best for a skirt. 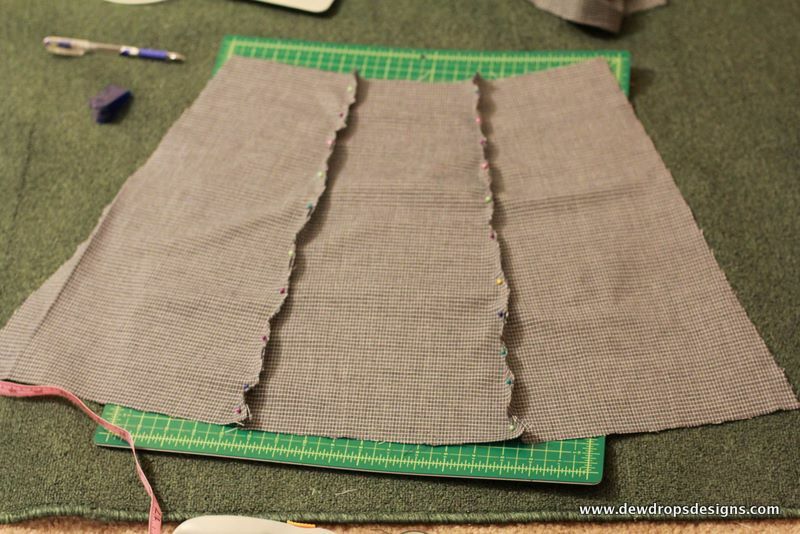 Finishes waist/hip (the size of the skirt where it stays): 32"
1) Take your waist/hip(depends on where you want the skirt to stay) measurement. let it be X ( for me it was 32"). 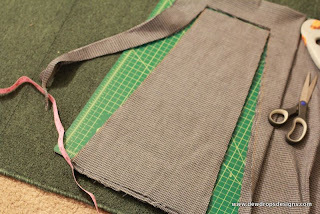 Cut 6 pieces of fabric as in picture: for each piece top part should be X/6 + 1/2"(for seam allowance). 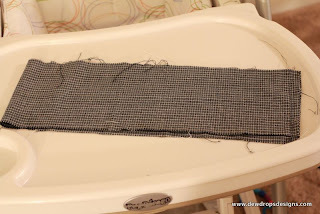 b) if non stretch fabric: cut 4" + 1/2" wide * X +1/2" length for waist band. Also take elastic few inches less than X based on stretch of elastic. 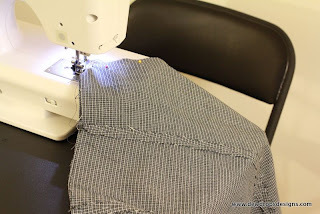 Now sew the 6 pieces together with right side facing.. 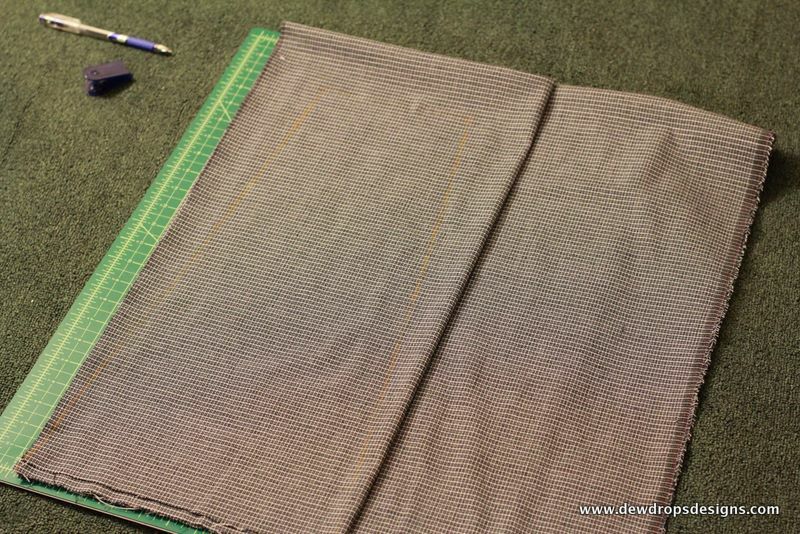 SO now you are almost done with just bottom hem and waist band left. Also one you are done with sewing 6 pieces together just check to see if the measurement on top of the skirt that is formed now is X" long. Next is to sew along the waist band that you have cut to the skirt and hem the bottom at the end.. 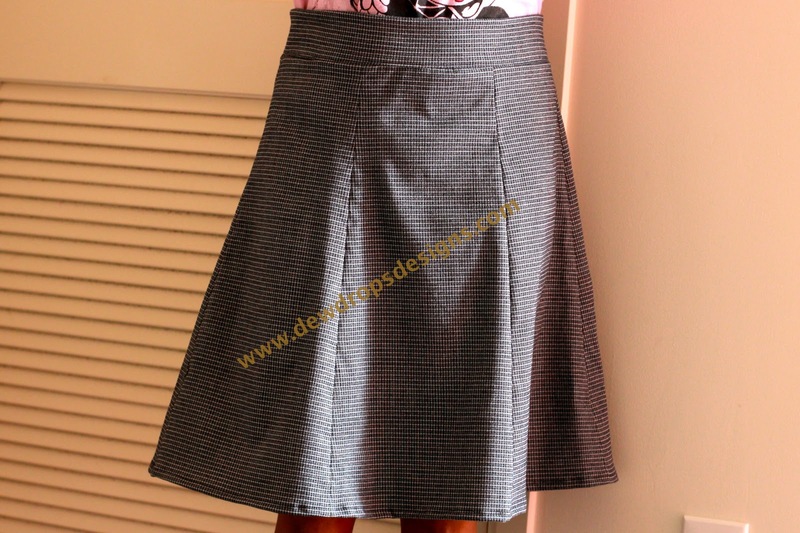 So excited to try this skirt!!! My sewing club will die!!! Thanks! thanks for tutorial... super easy too.